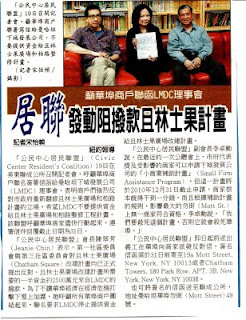 CCRC has started its petition drive today, Sunday April 19th. 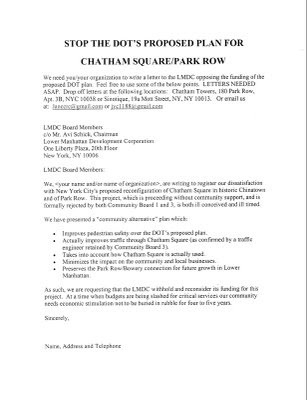 The LMDC must understand that the DOT and Mayor's plan for the reconstruction of Chatham Square has no support in Chinatown. 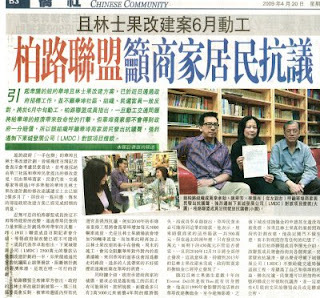 Business leaders, community leaders and organizations will be canvassing the Chinatown area to gather signatures on the petitions shown here. 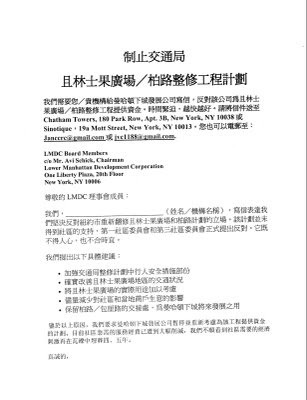 These petitions may be printed, signed and mailed back to the addresses shown at the top, or dropped off at Lin Sing association at # 49 Mott St. 2nd floor - Attention Eddie Chiu.